As discussed at tonight’s screening, we are planning on seeing Thor (3D) at the Ritz this coming public holiday Tuesday at 11:20am. As this is a 3D screening if you have 3D glasses please bring them as Ritz do charge an extra $1 to supply them. We also expect it to be fairly busy (public holiday, new movie & cheap Tuesday), so try to be early to ensure we can get tickets and decent seats. For those few who are unaware of Thor, if you have seen Iron Man 2 and waited for the end credits you would have seen a teaser. Marvel Studios expands its film universe with a new type of superhero: THOR. This epic adventure spans the Marvel Universe; from present day Earth to the realm of Asgard. At the center of the story is The Mighty Thor, a powerful but arrogant warrior whose reckless actions reignite an ancient war. Thor is cast down to Earth and forced to live among humans as punishment. Once here, Thor learns what it takes to be a true hero when the most dangerous villain of his world sends the darkest forces of Asgard to invade Earth. 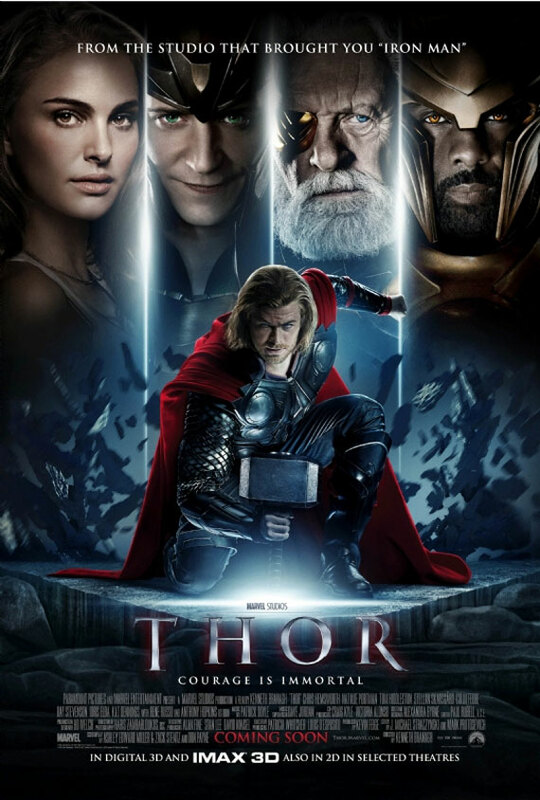 Kenneth Branagh directs this fantasy epic which stars Australian actor Chris Hemsworth as the ancient Norse god, Tom Hiddleston as his evil brother Loki, Natalie Portman as Jane Foster, a young woman who befriends Thor on Earth, and Anthony Hopkins as Odin, Thor’s father and king of Asgard. Expect to see agents of S.H.I.E.L.D., previously seen in ”Iron Man,” to make an appearance, further forshadowing the coming of The Avengers!